Mandaue Foam Furniture Summer Bliss Sale! 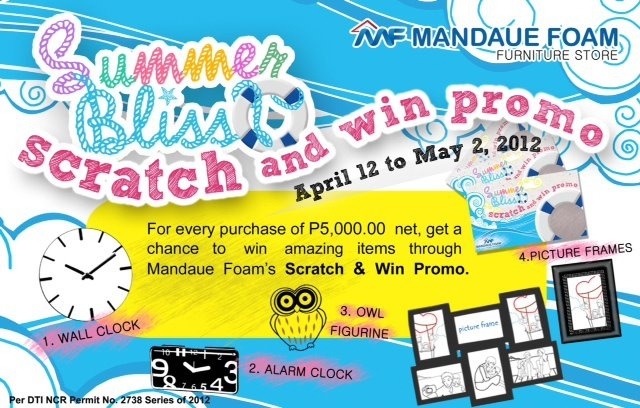 It’s Mandaue Foam Furniture’s Summer Bliss Sale from April 12 – May 2, 2012! Save up to 40% off on all regular items! And for every Php5,000.00 worth of Mandaue Foam Furniture bought, you are entitled to a scratch card that gives you the chance to bring home additional items! Shop now at any Mandaue Foam Furniture branch! Hi, do you have Mandaue’s price list for their furnitures? Appreciate if you can share it with me, Im looking for items to fill my Condo unit. Hey Mandaue’s furniture collection is really good. Hey kerby there price is reasonable …!!! I like to have some white furniture from them very soon which I have chosen on other furniture sites. 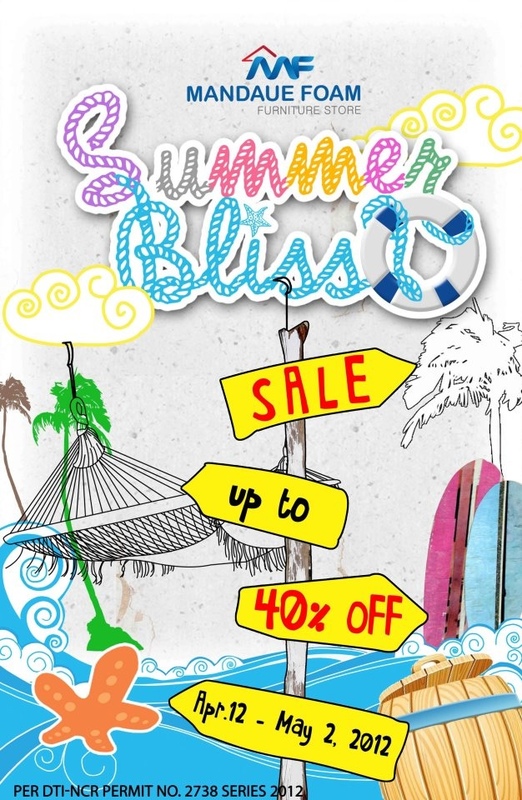 You are Here >> Home » Promos » Mandaue Foam Furniture Summer Bliss Sale!